.. Now I LOVE them! We went to some Drake and Morgan sites yesterday and to say the very least, we were not disappointed. 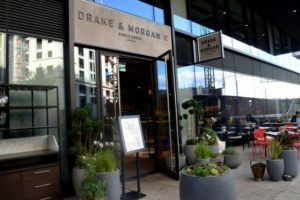 Starting in Bankside, and working our way over the water, through the city, and up to Kings Cross, we made our way through the Drake and Morgan collection. 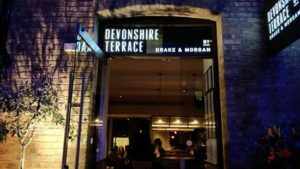 They have a plethora of beautiful sites which should undoubtedly be part of your regular London imbibe. We settled down in the garden of The Refinery with an Old Fashioned in hand. We chilled and sipped as the chaos that is Central London buzzed around us, and what a place The Refinery is to do it! We were looked after by a young lady who knew 80% of the guests coming in by name – this is how hospitality should be done! The service was extremely attentive, and our glasses were never left empty – this is how drinking should be done!